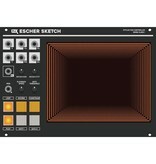 Escher Sketch is a touch/stylus pen controller interface for video synthesis, featuring a high resolution 5.7 inch drawing surface. Provides XY positioning voltage outputs as well as pressure and directional velocity sensing. Stylus pen included. The voltage scale switch on the rear of the module can be set to 5V instead of 1V. This adapts the module's inputs and outputs for usage as a CV Controller in eurorack audio systems. 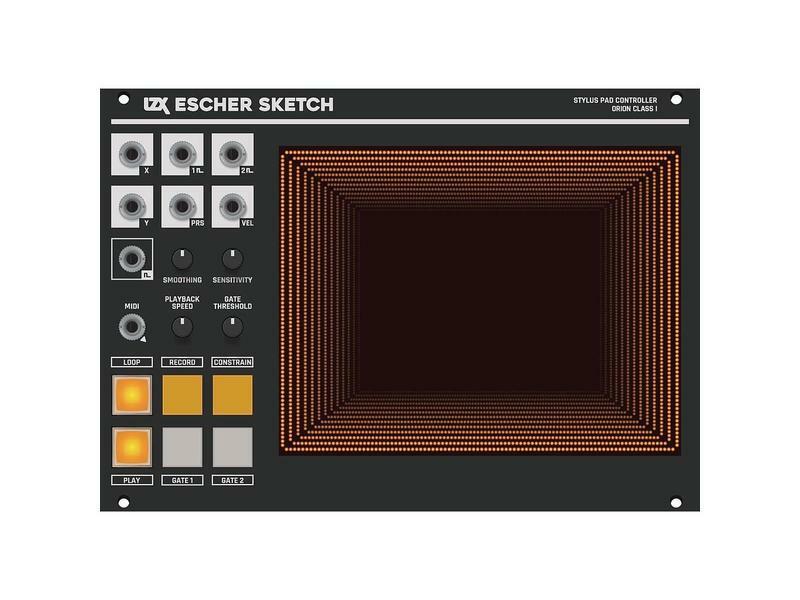 For standalone usage in eurorack audio systems, connection to video sync is not necessary. As well, MIDI output is passed on TRS stereo 3.5mm jack. 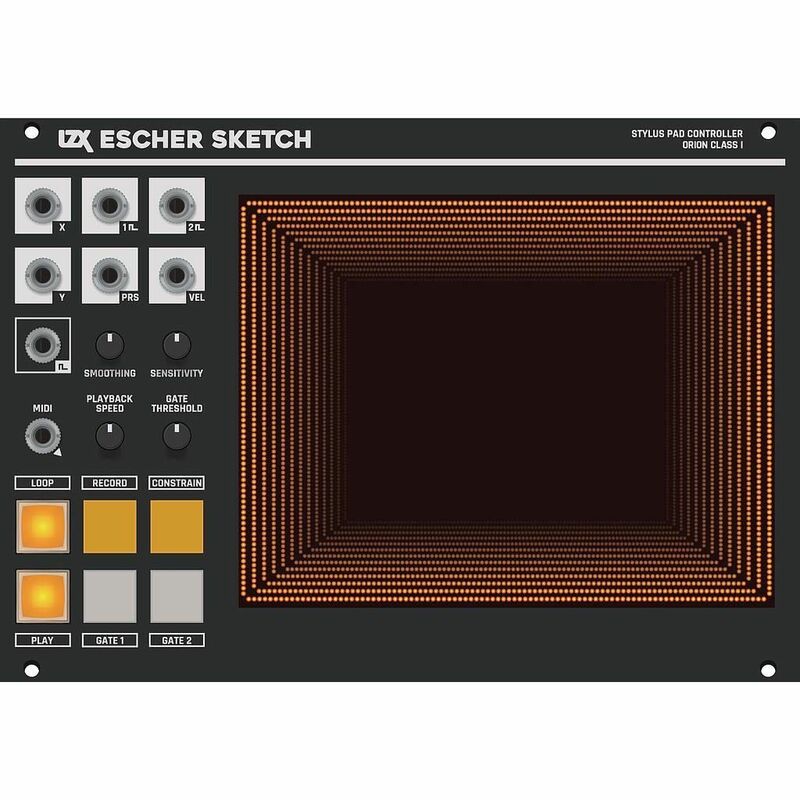 Escher Sketch uses a classic resistive touchpanel in order to replicate the feeling of video painting devices and early trackpads from the 1980's through the 1990's. A point is registered when enough pressure is applied to the touchpanel surface either by a finger tip or using a stylus with a hard spring loaded nib. The included stylus has a fixed hard nib, but we encourage you to explore other stylus options to find what suits you best.